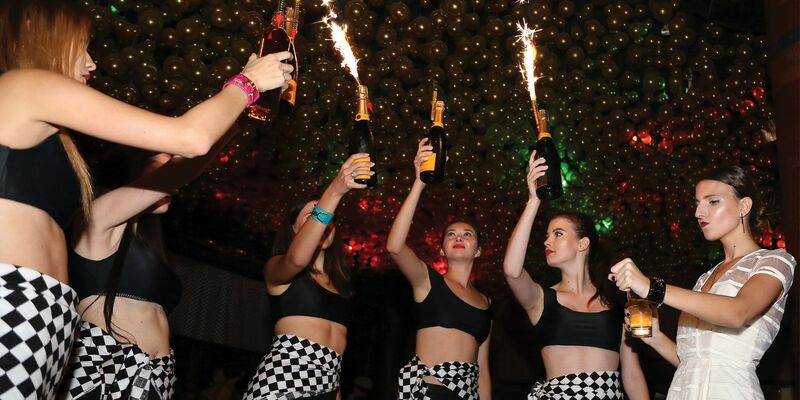 When it comes to adrenaline-pumping celebrations, the World of Diamonds Group (WOD) have certainly outdone themselves for this year’s Formula One Singapore Season. Friends of the Russian diamond conglomerate celebrated day one of Singapore’s iconic night race at Pangaea, Marina Bay Sands Singapore. The next day on 19 September, WOD wowed guests at the Amber Lounge with S$10 million worth of diamond pieces, and unveiled the world’s most expensive perfume collection. Concluding the weekend was their party with Lamborghini Singapore at 1919 Water Boathouse, followed by the trackside after-party, Boudoir Noire. There, local burlesque Model, Sukki Singapora, showcased the WOD’s statement 41-carats diamond necklace, before she entered her stage – a custom-made seven-foot tall diamond ring.